Dentalspa Geelong is committed to helping children care for their teeth, which is why we have developed the Cavity Free Kids Club. Dentalspa children patients aged 1-12 will be eligible to join the Cavity Free Kids Clubhouse and adolescents aged 13-17 to join the Cavity Free Youth Club, providing they meet entry criteria! At the dental exam visit, if a child/adolescent is deemed caries free, they will be entered into a quarterly prize draw. An entry ticket will be given once thorough examination, clean and radiograph images (if relevant) are taken and patient is deemed cavity free. Details will be recorded on a raffle ticket and placed into the prize bowl, where a ticket from each cavity free club will be drawn every 3 months. Winners will be contacted and on parents approval, announced on Facebook. 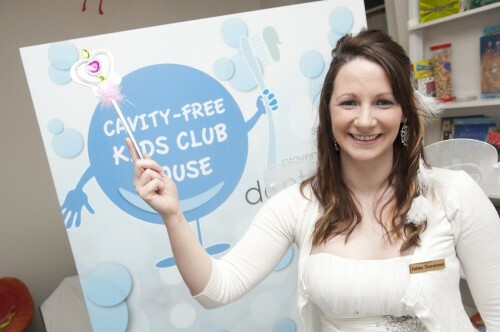 For more information and all terms and conditions for our Cavity Free Kids Club, click here. We really encourage children to keep up their regular dental teeth-care regime and want to reward them for doing so. When booking an appointment, or at your next visit, talk to your care-professional about our Geelong dental kids club and what it involves. Contact us at Dentalspa Geelong for all your dental requirements including teeth whitening and fissure sealants treatments.